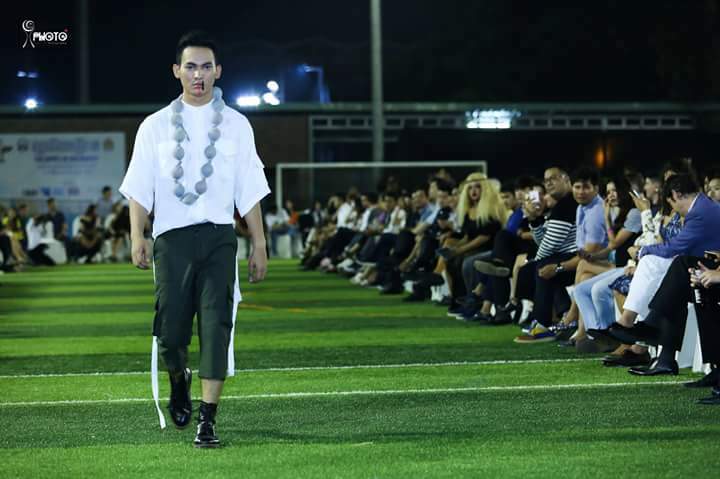 Cambodia's sixth Phnom Penh Designers' Week (PPDW6) came to a colorful climax in May with a full-on, male-only catwalk show, fashioned to challenge and cultivate perceptions of masculinity in the country. Organized by Sophea Ke and Don Protasio (pictured below), who also publish Cambodia's beautifully presented Fashion Lab magazine, the theme of PPDW 2016 was, simply, "MEN". 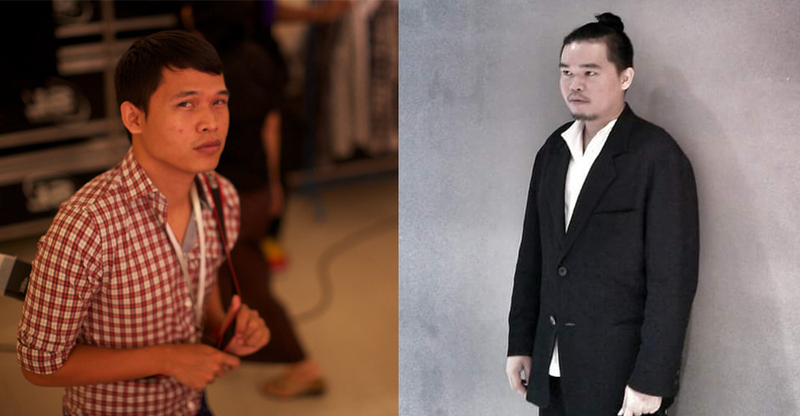 The team called for designers to demonstrate the relevance, importance and influence of menswear in Cambodia. Invitations to the catwalk show specified the dress code to be "masculine", provoking squeals of "what could I possibly wear?" from the city's queer community and prompting questions about what 'masculinity' really means in a country widely perceived to have a predominantly feminine culture. "There was a definite need to provide a platform for local designers to showcase their work and the creativity that exists for men's fashion right here in Phnom Penh," says Don Protasio, who runs his eponymous label from an unassuming alleyway in the city centre. "We want to celebrate what local designers are doing: creating interesting fashion for men which differs from the norm." PPDW exists at a time when Phnom Penh is looking forward rather than back, and fashion has the opportunity to march hand-in-hand with the city's emerging arts and nightlife scenes. 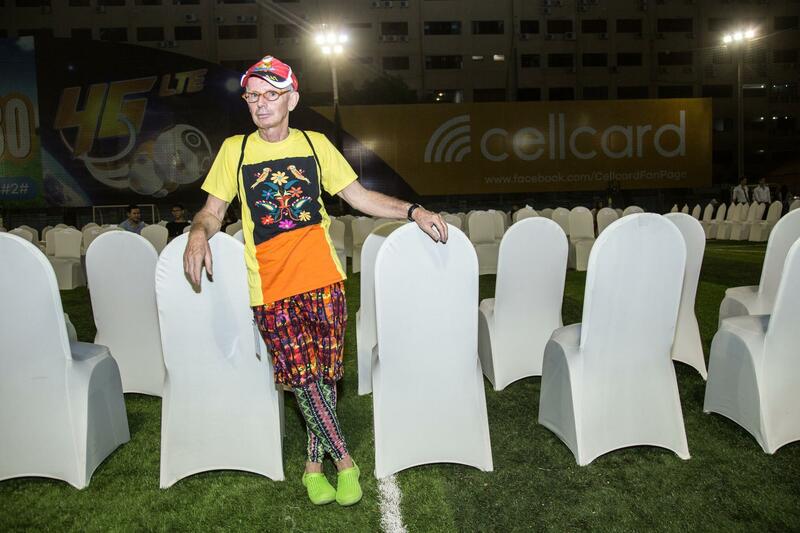 This year's show was the biggest yet, with hundreds of well-dressed invitees lining a specially constructed catwalk in the middle of a football field opposite the Australian embassy. 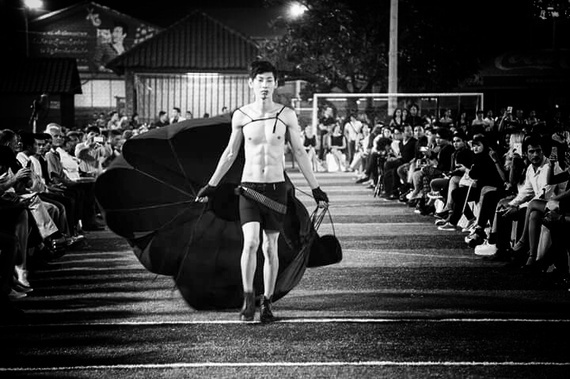 As is the case with many fashion shows, campery speedily superseded masculinity. A muscled, shirtless model sailed down the catwalk trailing a Don Protasio-designed black parachute, to rapturous applause; designer Alan James Flux's "heroes and anti-heroes" collection was a playful explosion of color, patterns and distorted imagery. Other labels showcasing included Waterlily, Kool as U, and Ambre. Both Protasio and Flux design and manufacture their ranges in Cambodia. Protasio was born in the Philippines but has been based in Phnom Penh since 2007; Flux is British but has been in Asia for the best part of two decades, the last eight years of which have been in Cambodia. "Phnom Penh offers me a place where I can be subversive, underground," says Protasio. "In other, more developed fashion cities, you have to be more commercial to survive, to live up to expectations. Here, I can be truly creative. I can do what I want. I can design menswear as I want. It's much purer here, which really resonates with me." Protasio's latest collection is entitled "Emerging Fog". He says it's inspired by the idea of escaping war; a way for men to feel protected from the ravages of global conflict. "That's why there are white flowers and necklaces - and parachutes," he adds. Flux (pictured below) is the founder of A.N.D. Fair Trade Cambodia, which has grown to become a network of outlets dotted around Phnom Penh. Like Protasio, he designs for both men and women, but it's his menswear creations that are on show at PPDW6. 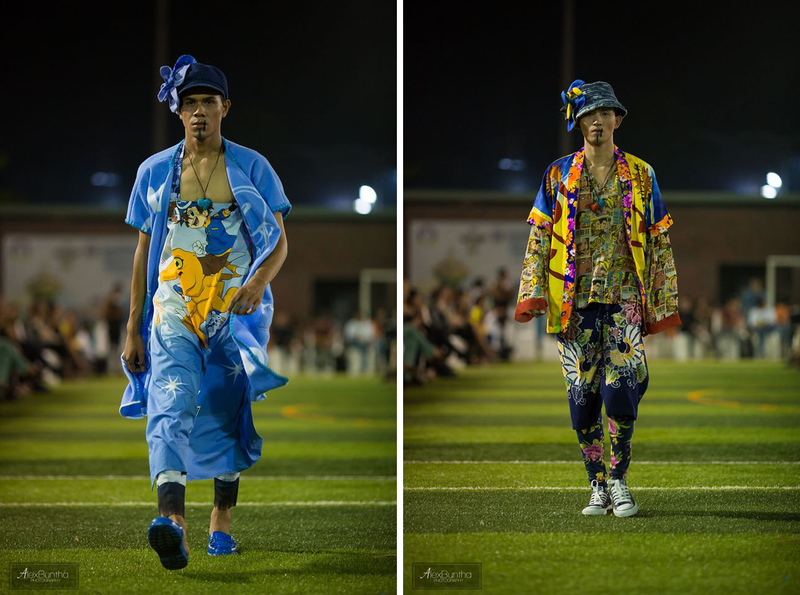 "Nobody really knows what Cambodia stands for when it comes to fashion, so I saw an opportunity to create the kind of clothes that I like to see on men - fun, colourful and fabulous," says Flux. "This country offers the greatest selections of fabrics of anywhere in the world and there's incredible talent within Cambodia that needs to be properly harnessed. "We make very androgynous clothing. Khmer men are often very beautiful, with great bodies. There are potential models everywhere and this excites and inspires me to create for them." Flux believes that as Phnom Penh develops, increasing numbers of young Cambodians are becoming interested in fashion created in their own country, and more and more of them have the money to buy the clothes they desire. 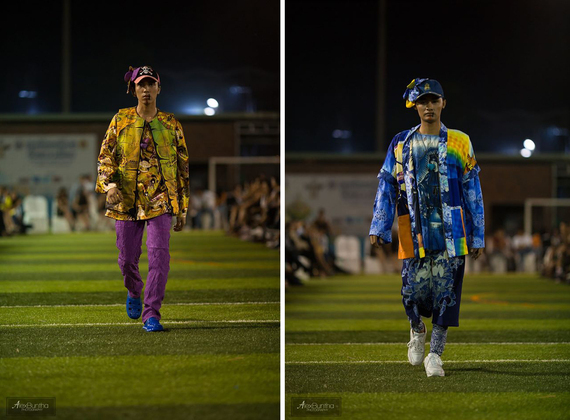 "South Korean Pop Music - known as K-pop - has a significant influence on young Asian fashion and Cambodians want to find their own distinctive style," says Flux. "It's great to see their reaction when they discover exciting designs are being created right under their noses. The future of menswear in Cambodia is bright, and it's being spearheaded by people who are very dedicated." 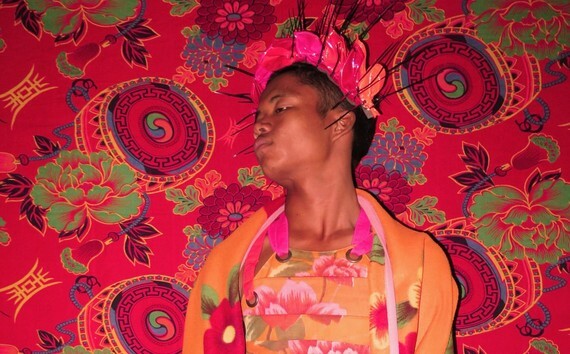 Indeed, an exhibition of Flux's photography, which focuses on young Cambodians wearing his creations, was recently held at a café/art gallery in the centre of the city, making the new wave of menswear even more visible to the community. Protastio continues: "People often say to me, 'there's nothing to buy or wear here in Cambodia', until they see the creations, often at PPDW. "Then, they say, 'my god, where have you been?' That's the future for us. The future we want to create."